Do you want to grow your own in Christchurch? Allotments are now available at Rutland Road in West Christchurch for residents with green fingers who want to grow their own. 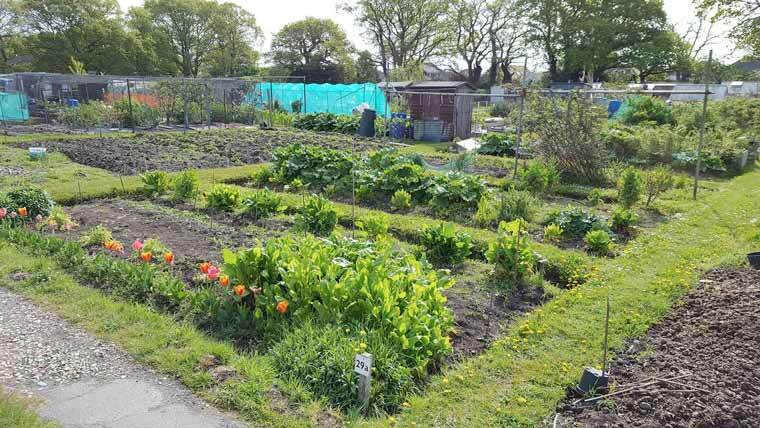 Christchurch has over 450 allotment plots situated at five sites across the borough. Allotments enable you to grow your own food and improve your family’s diet, says Christchurch and East Dorset Council. It is apparently also a great way of getting exercise, learning new skills and making friends. Rutland Road allotment site in West Christchurch is one of the council’s five sites, which has over 100 plots. Why not consider having your own allotment? When fees start at just £33.75 per year, it might be something which you could contemplate. Nikki Gardner, secretary for Rutland Road Allotments, said, “We have an active association which welcomes new members and offers support around managing your plot. Having an allotment can be hard work and during the summer months you need to dedicate at least five hours per week to your plot. However, here at Rutland Road we have many seasoned plot holders who are more than happy to share their years of experience with newbies! If you are interested in having an allotment at one of the other four sites in Christchurch visit www.dorsetforyou.gov.uk/allotments/christchurch or telephone 01202 795000.